Make this the star of your Christmas watchlist. 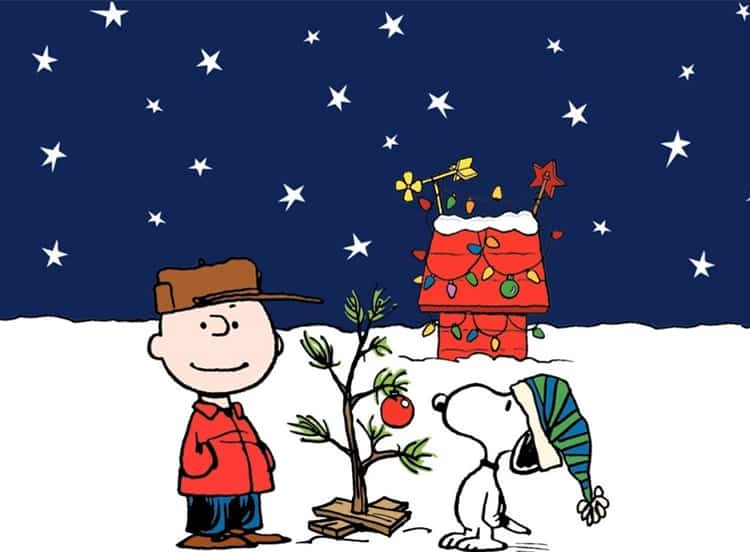 If you must choose only one Christmas special to watch this year—and every year for that matter—go with A Charlie Brown Christmas. Airing annually since December 9, 1965, Charlie Brown’s quest to discover the true meaning of Christmas takes him through a psychiatric help session with Lucy, a school play no one really cares about doing and the selection of a paltry, wooden tree that withers in no time. Santa Claus never makes an appearance in A Charlie Brown Christmas. Sure, Charlie helps his sister Sally write a letter to St. Nick, but unlike other Christmas classics where Santa is essential (e.g. The Santa Clause, A Christmas Story or Elf), Kris Kringle’s absence from Charlie Brown does nothing to diminish the story. The film tackles heavy themes, namely commercialization and depression. For instance, Lucy loves “that beautiful sound of clanking nickels” while Sally is perfectly content with “10s and 20s.” Charlie’s dog Snoopy completely overhauls his doghouse to win “money, money, money!” in the neighborhood lighting contest. Finally, Charlie Brown is told that the Christmas tree he’s going to purchase for the play must be “shiny.” Throughout the movie, he’s positioned in conflict with the consumerism around him. If you recall Charlie Brown’s walk with Linus after their time skating on the pond, he was candid about his feelings toward December 25th: “I always end up feeling depressed,” he tells his buddy. Later, during his sit-down with Lucy at the psychiatric help booth, he expanded on his sadness: “Actually, Lucy, my trouble is Christmas. I just don’t understand it. Instead of feeling happy, I feel sort of let down.” Having his sentiment criticized throughout the film by the other kids doesn’t help matters, either. Ultimately, Charlie’s question about the meaning of Christmas points to one that’s set in the hearts of all men and women: Isn’t there more than this? Isn’t there more than Christmas cards and Christmas trees and Santa Claus and snow and toys and lighting contests? The reason we celebrate Christmas is simple—and life-altering. Removing his thumb from his mouth and casually walking to center stage, Linus asks for a spotlight and eloquently delivers verses 8-14 of the second chapter of the Gospel of Luke. “Today, in the town of David, a Savior has been born to you; He is the Messiah, the Lord,” Luke writes. Matthew adds, “[Mary] will give birth to a son, and you are to give Him the name Jesus, because He will save His people from their sins” (1:21). 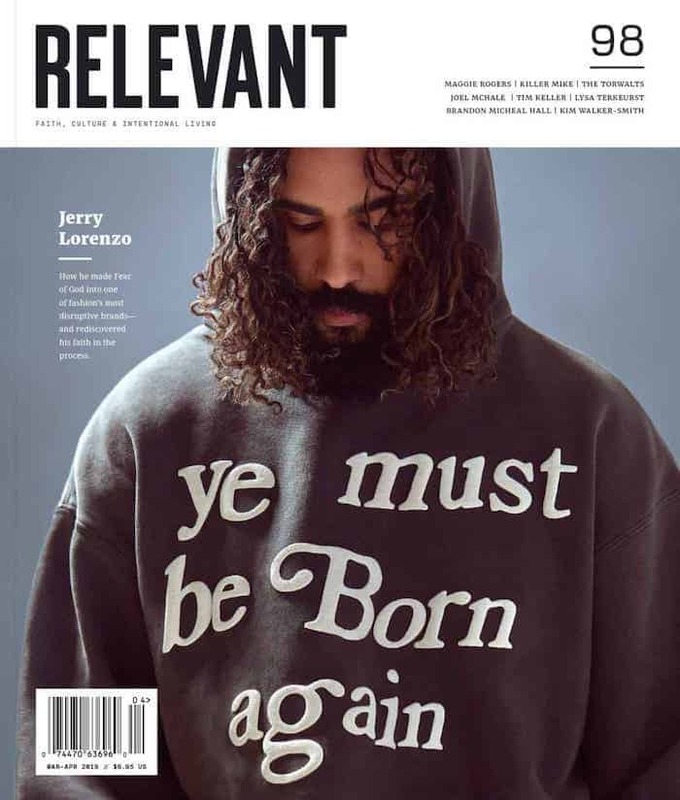 In both Luke and Matthew, we see the word “save.” Because we can’t save ourselves, Jesus is going to restore sinners who repent and freely receive Him by giving His life on a cross. The apostle Paul writes, “God made Him who had no sin to be sin for us, so that in Him we might become the righteousness of God” (2 Corinthians 5:21). This December, enjoy the eggnog, mistletoe, Little Smokies, gabbing with relatives and ugly Christmas sweaters. Watch Charlie Brown and some other Christmas films. Enjoy the gifts, too. “Every good and perfect gift is from above, coming down from the Father of lights, who does not change like shifting shadows,” writes James. But give yourself the gift of Luke 2. Read verses 1-20. In fact, read all four Gospel accounts of the birth of Jesus Christ and meditate on the truth that He was born to die. Revisit Isaiah 53. “He was pierced because of our rebellion, crushed because of our iniquities; punishment for our peace was on Him, and we are healed by His wounds,” says the ancient prophet. Dr. John Piper says: “Good Friday is the reason for Christmas.” Jesus was born to die; it’s that simple. But that’s the timeless, hope-filled message that provides us with an enduring joy that transcends a single day in December. “That’s what Christmas is all about, Charlie Brown,” says Linus. Jesus Christ, the Savior, is the reason for Christmas because Christmas itself is a reminder that from the moment of His birth, Christ had a single, perfect destiny. Through all the pageantry, presents and peppermint, A Charlie Brown Christmas remembers that. If you watch nothing else this year, be sure it’s the special with our striped-shirted friend.